In this Apache Spark tutorial you will learn Spark from basics, so you can succeed as a big data analytics professional. Through this Spark tutorial you will get to know Spark architecture, components like Spark Core, Spark SQL, Spark Streaming, MLlib, and GraphX. 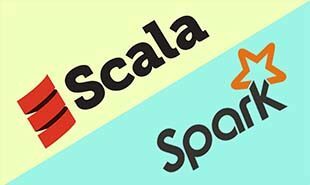 You will learn Spark RDD, writing Spark applications with Scala and more. Learn Apache Spark from Intellipaat Spark course and fast-track your career. Apache Spark is a new processing engine which is part of the Apache Software Foundation that is powering the Big Data applications around the world. It is taking over from where Hadoop MapReduce gave up or from where MapReduce started finding it increasingly difficult to cope with the exacting needs of a fast-paced enterprise. Businesses today are struggling to find an edge and get new opportunities or practices that drive innovation and collaboration. Large amounts of unstructured data and the need for increased speed to fulfill the real-time analytics have made this technology a real alternative for Big Data computational exercises. Before Spark, there was MapReduce which was used as a processing framework. Initially, Spark was started as one of the research projects in 2009 at UC Berkeley AMPLab. It was later open sourced in 2010. The major intention behind this project was to create a cluster management framework that supports various computing systems based on clusters. After its release to the market, Spark grew and moved to the Apache Software Foundation in 2013. Now, most of the organizations across the world have incorporated Apache Spark for empowering their Big Data applications. Spark has the capacity to handle zetta and yottabytes of data at the same time it is distributed across various servers (physical or virtual). It has a comprehensive level of APIs and developer libraries, supporting various languages like Python, Scala, Java, R, etc. It is mostly utilized in combination with distributed data stores like Hadoop’s HDFS, Amazon’s S3, and MapR-XD. 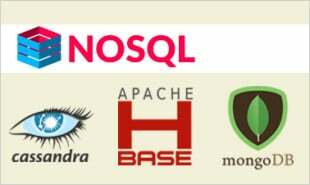 And, it also used with NoSQL databases like Apache HBase, MapR-DB, MongoDB, and Apache Cassandra. Sometimes, it is also used with distributed messaging stores like Apache Kafka and MapR-ES. Spark takes the programs that are written in complex languages and distributes to many machines. This is achieved based on an API like datasets and dataframes built upon Resilient Distributed Datasets (RDDs). Today, there is widespread deployment of Big Data. With each passing day the requirements of enterprises increase, and therefore there is a need for a faster and more efficient form of data processing. Most of the data is in an unstructured format, coming in thick and fast as streaming data. Banking: More and more banks are increasingly adopting Spark platforms to analyze and access social media profiles, emails, call recordings, complaint logs, and forum discussions to garner insights which can aid them to take correct business decisions for credit risk assessment, customer segmentation, and targeted advertising. E-commerce: Spark finds a great application in the e-commerce industry. Real-time transaction details can be sent to streaming clustering algorithms like K-means and collaborative filtering. The results can then be combined with other data sources like product reviews, social media profiles, and customer comments to offer recommendations to clients based on new trends. Alibaba Taobao uses Spark to analyze hundreds of petabytes of data on its e-commerce platform. A plethora of merchants interact with this e-commerce platform. These interactions represent a large graph and Machine Learning processing on this data. eBay uses Apache Spark to provide targeted offers, enhance customer experience, and optimize overall performance. Apache Spark engine is leveraged at eBay through Hadoop YARN.YARN manages all the cluster resources to run generic tasks. eBay Spark users leverage Hadoop clusters in the range of 2000 nodes, 20,000 cores, and 100TB of RAM through YARN. Healthcare: Apache Spark uses advanced analytics on patient records to figure out which patients are more likely to fall sick after being discharged. The hospital can better deploy healthcare services to the identified patients saving on costs for both hospitals and patients. Many gaming companies use Apache Spark for finding patterns from their real-time in-game events. With this, they can derive further business opportunities like adjusting the game level automatically according to the complexity of the game level, targeted marketing, player retention, etc. Some media companies like Yahoo uses Apache Spark for targeted marketing, customizing news pages based on readers’ interests. They use tools such as Machine Learning algorithms for identifying the ‘readers’ interests’ category. Eventually, they categorize such news stories in various sections and keep the reader updated on timely bases. Many people land up to travel planners to make their vacation a perfect one. And these travel companies depend on Apache Spark for offering various travel packages. TripAdvisor is one such company that uses Apache Spark to compare different travel packages from different providers. It scans through hundreds of websites to find the best and reasonable hotel price, trip package, etc. Who Can Use Apache Spark? An extensive range of technology-based companies across the globe has moved toward Apache Spark. They were quick enough to identify the real value possessed by Spark such as Machine Learning and interactive querying. 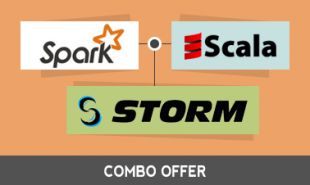 Industry leaders such as Huawei and IBM have adopted Apache Spark. The firms which were based on Hadoop, such as Hortonworks, Cloudera, and MapR, have moved to Apache Spark, already. Apache Spark can be mastered by professionals who are in the IT domain in order to increase their marketability. 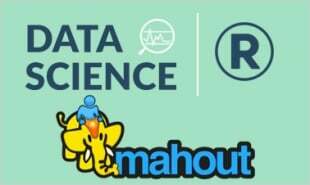 Big Data Hadoop professionals surely need to learn Apache Spark since it is the next most important technology in Hadoop processing. Moreover, even ETL professionals, SQL professionals, and project managers can gain immensely if they master Apache Spark. Finally, Data Scientists also need to gain in-depth knowledge of Spark to excel in their careers. Spark is extensively deployed in Machine Learning scenarios. Data Scientists are also expected to work in the Machine Learning domain, and hence they are the right candidates for Apache Spark training. Those who have an innate desire to learn the latest emerging technologies can also learn Spark. Become Spark Certified in 15 hrs. For large-scale processing of data, Spark is 100 times faster than Hadoop, regardless of the fact that data is stored in memory or on disk. Even if the data is stored on disk, Spark will be performing faster. Spark has a world record in on-disk sorting for large-scale data. Spark has a crystal-clear and declarative approach toward a cluster of datasets. It has a collection of operators for data transformation, APIs specific to the dataset domain, or dataframes to manipulate semi-structured and structured data. Spark also has a single-entry point for applications. Spark is designed in such a way that it can be easily accessible just by rich APIs. It is specially designed for quick and easy interaction in large data scale. APIs are well-documented for application developers and Data Scientists to instantly start working on Spark. As mentioned earlier, Spark supports too many programming languages like Python, Scala, Java, R, etc. It also integrates with other storage solutions based on Hadoop ecosystem, such as MapR, Apache Cassandra, Apache HBase, and Apache Hadoop (HDFS). Intellipaat provides the most comprehensive Spark online training course to fast-track your career! "4 Responses on Apache Spark Tutorial – Learn Spark from Experts"
A big thanks to Intellipaat- as a beginner, I could not have understood it better than this tutorial. The material of the tutorial is easy to follow and very informative. It was great, I learned a lot in a clear concise way. Thanks.. I really enjoyed this tutorial, it gave me lots of background to understand the basics of apache technologies.This is a wonderful startup tutorial. Wonderful tutorial on Apache Spark. Really helpful! Sign Up or Login to view the Free Apache Spark Tutorial – Learn Spark from Experts.